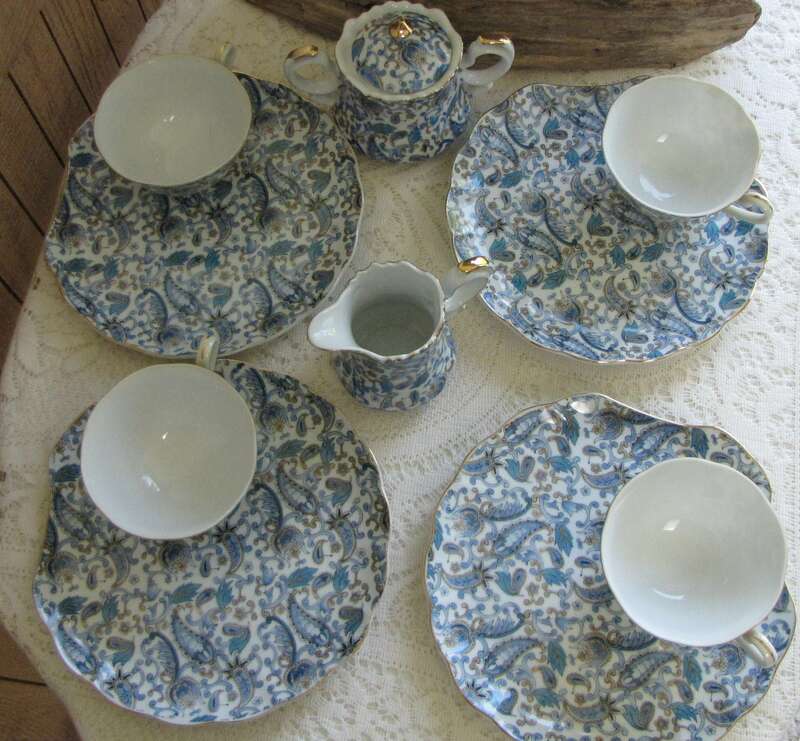 This is for a set of 4 Lenox Blue Paisley snack plates and cups with a cream and lidded sugar bowl to complete the set. 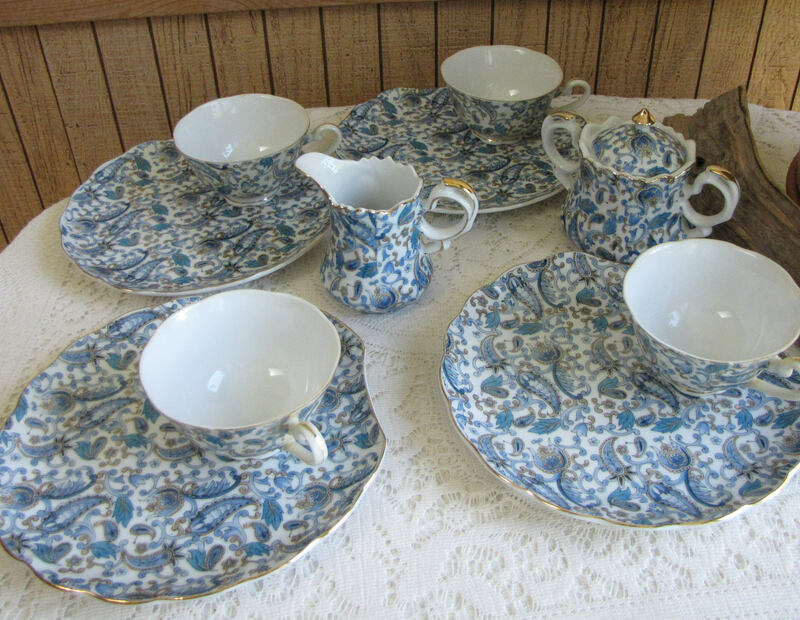 The set is in very good vintage condition with no chips or cracks; hardly a mark on them. 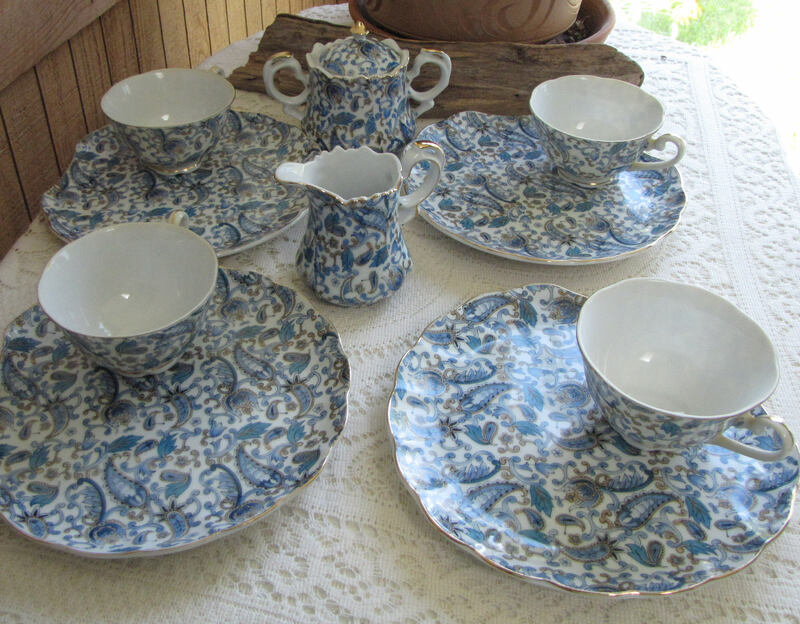 The pieces were made in Japan and say they are hand painted. The gold trim is intact. 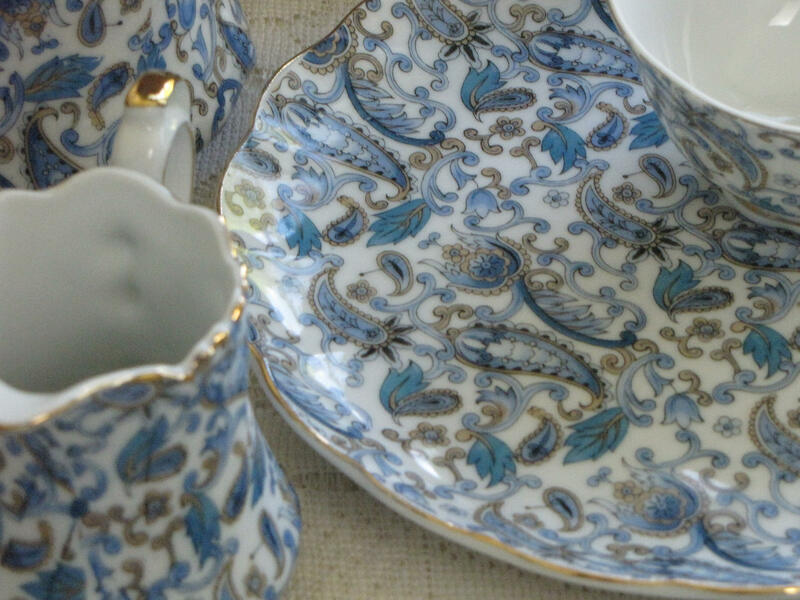 Lenox's Ceramic Art Company was founded in 1889 as an art studio. 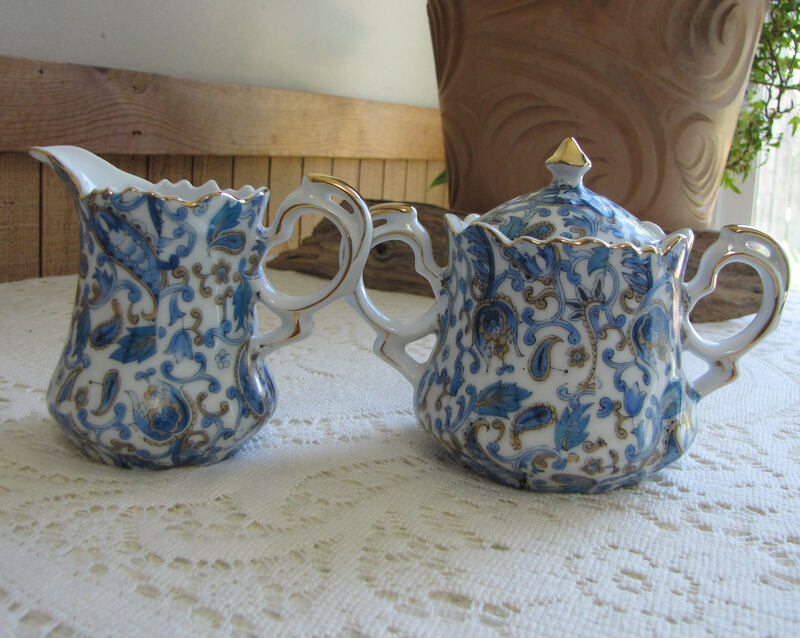 Hand-painted ivory china vases, pitchers, and tea sets were produced by their 18 employees. 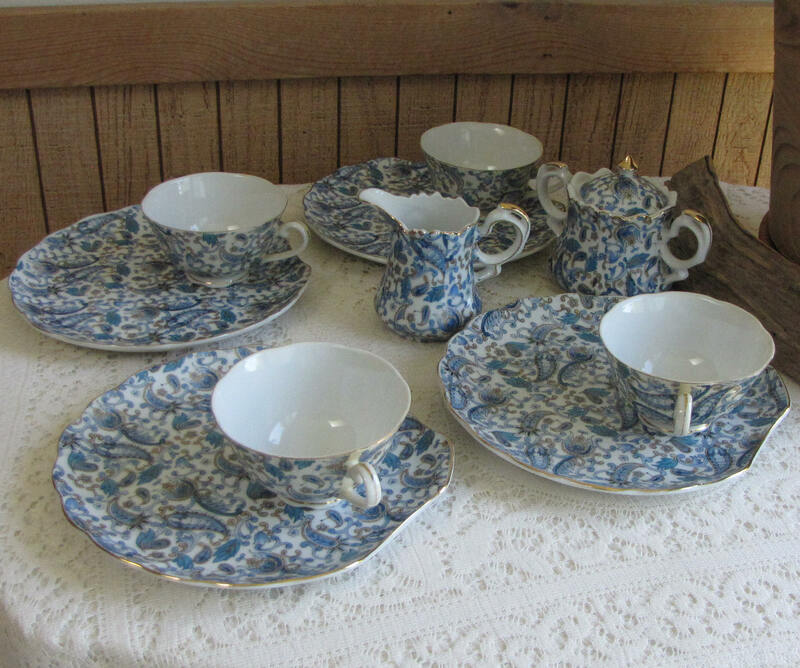 In 1902, Lenox started offering custom designed china for home dining. 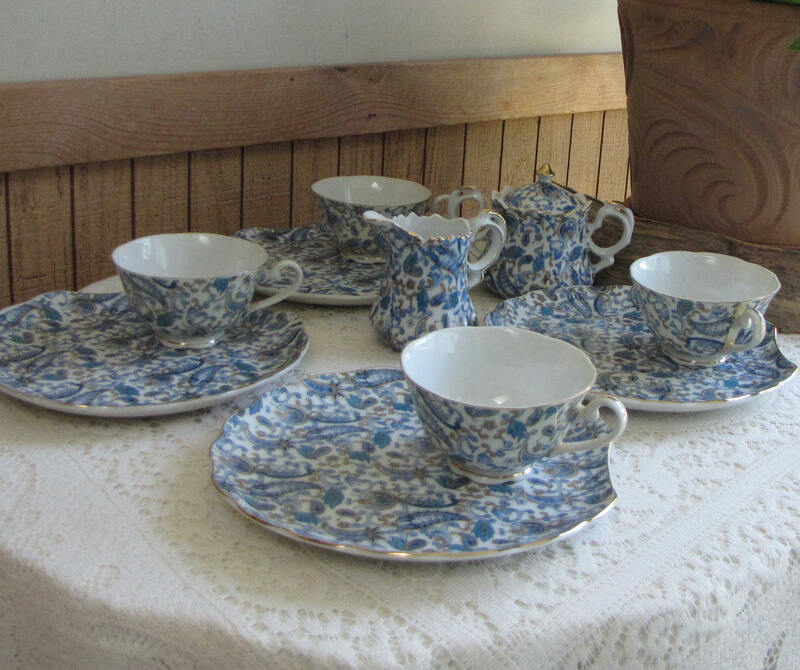 In 1906, the firm’s name was changed to Lenox Incorporated. 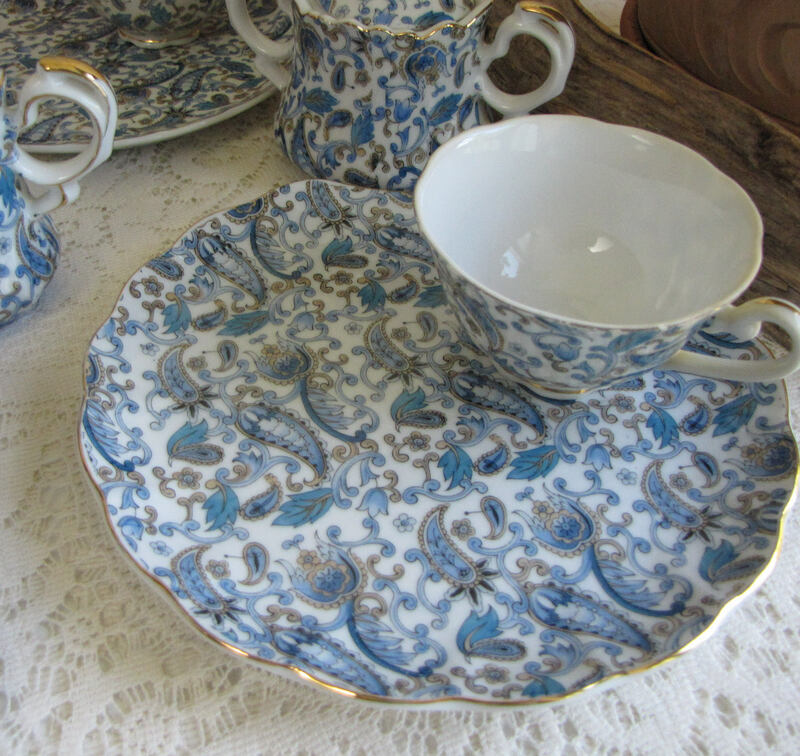 In 1910, Lenox started using transfer prints enhanced with hand-applied color. 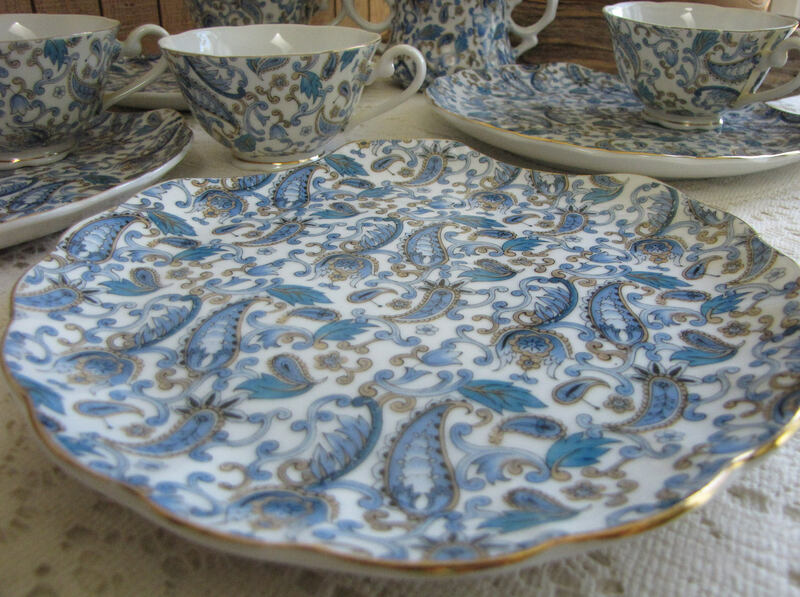 In 1918, President Wilson commissioned Lenox to create an official state service of 1,700 pieces, making Lenox the first American china to grace a president’s table. Walter Scott Lenox died in 1920. Frank Graham Holmes was the chief designer from 1905 to 1954. Holmes designed the Fountain pattern in 1926. In 1983 Lenox was acquired by Brown-Forman Corporation. In 2005, Brown-Forman sold Lenox, Incorporated to collectible manufacturer Department 56. Lenox, Inc. filed for Chapter 11 bankruptcy in 2008. 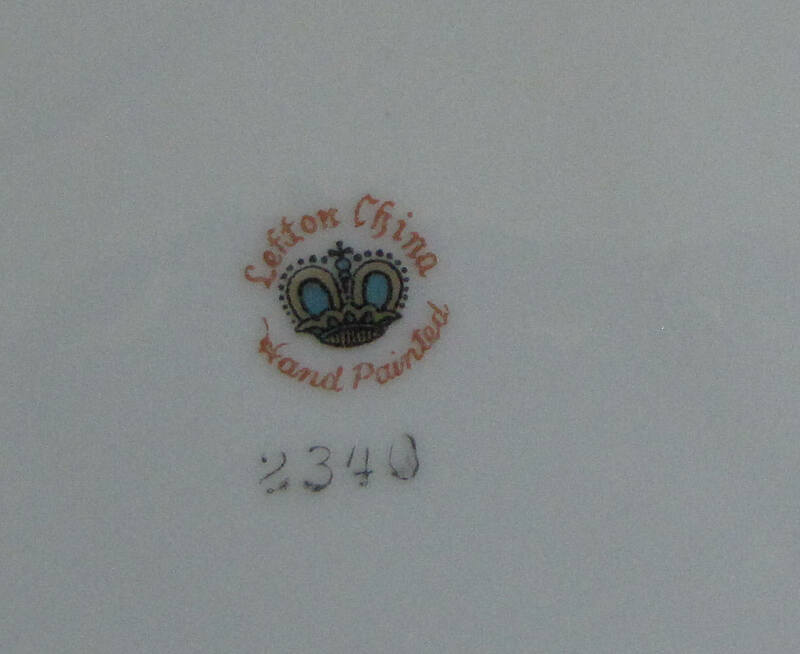 In 2009, Clarion Capital Partners purchased the assets of Lenox and renamed the company Lenox Corporation and continues some manufacture of bone china in Kinston, NC.